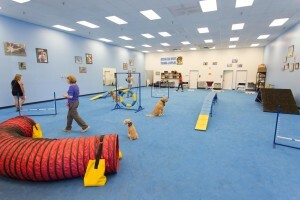 How My Passion For Animals Became this dog trainers school, AZ Dog Smart Academy! Animals were my first love as a child—especially dogs and horses. My dog was my constant companion, running beside my minibike, greeting me at the bus stop, going with me everywhere. Experiencing this was so enjoyable and rewarding to me that I wanted to educate others so they could have those same experiences. As I grew older, I noticed that people don’t always get the joy from owning a pet that they should. Unconditional tail wagging devotion is what it is all about! Animals teach us loyalty, forgiveness, calmness, companionship and love. So I found a need—for people to learn about pets, enjoy their activity with them, and make learning about that companionship fun!! Travel Hounds, which was for people who traveled with their dogs, versus choosing to board them or hire a pet-sitter; was my first business. Personally, I couldn’t enjoy my vacation to the beach if I knew that my dog would love being there, too. 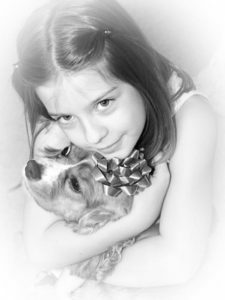 My business supplied products for dogs and traveling, and was about integrating your dog into your lifestyle. 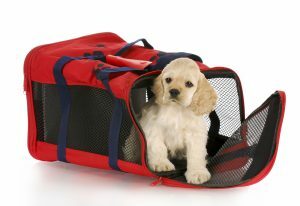 In the past, hotels and airlines weren’t as pet-friendly, so it was difficult to travel. Now, as the awareness of the pet lifestyle continues to increase, businesses have started catering to pet-owners. When I had Travel Hounds, we supplied products to dog lovers; but as I became acquainted with trainers, it became clear to me that there were more issues I wanted to solve. For example, there are a lot of great products for dogs and traveling, but if the dog isn’t well-behaved; that’s a much bigger problem. Hence, my next logical step was dog training. 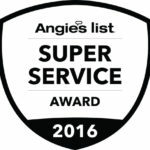 In addition to providing great products, we’re now providing a training service. Dog training has been so rewarding! I get to spend time with dogs and dog people. People with animals in their lives seem more compassionate, outgoing, and well-rounded. It’s a common virtue. Everyone can benefit from understanding that another living being can be as valuable as you are. Since the success of AZ Dog Sports, we discovered a new need. Why did we decide to pursue this? Daily, we were asked in our facility “How do I become a dog trainer?” or “How can I get involved in a profession that allows me to work with dogs?” Because of these constant inquiries, we decided to add a specialized, hands-on dog training curriculum designed to meet professional certification standards. We are now helping dog lovers pursue a rewarding career while gaining new skills and knowledge to improve dog behavior. Today, our Arizona dog trainers school helps people, just like you, become an entrepreneur/dog trainer or gain a professional career working with dogs. This certified program provides you the opportunity to gain experience, confidence and knowledge for your transition to becoming a certified self-employed trainer or dog professional. For dog lovers, it’s a rewarding career enabling you to truly live what you love.